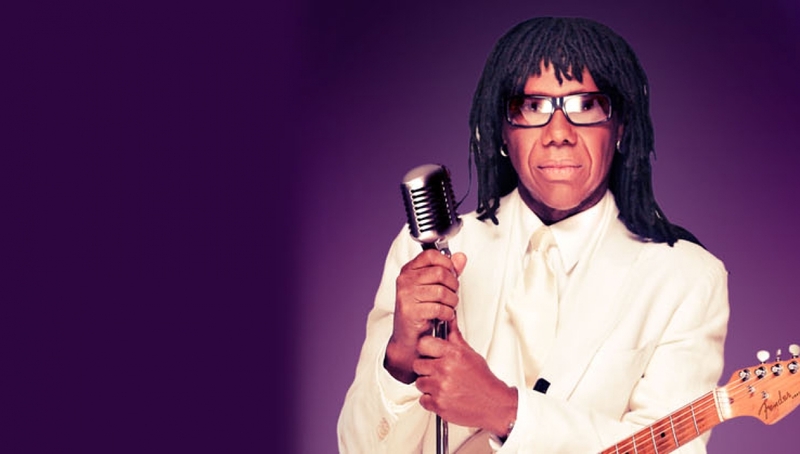 Music legends CHIC featuring Nile Rodgers will play the Roundhouse to support I’ll Be There, their first single in 23 years. With an amazing live show from the greatest dance band in the world, CHIC is guaranteed to get the party going and have audiences up on their feet. Considered one of the greatest live bands, CHIC’s sound is undoubtedly defined by the rhythm guitar and musicianship of Nile Rodgers, resulting in some of the biggest dance singles of all time including Get Lucky, Let’s Dance, Good Times, and Le Freak (which was recently inducted into the 2015 Grammy Hall of Fame). Rodgers created the template for funk, dance and even hip hop and has collaborated with some of the world’s biggest stars including Madonna, David Bowie and Duran Duran, and more recently Daft Punk – with whom he picked up three Grammy Awards in 2014, Pharrell Williams, Aviici and Disclosure. Please note that all times are subject to change without notice.